ENCINITAS — Several of Encinitas’ political candidates have been receiving a boost — or taking a hit — from political action committees doing the work on their behalf. The North County Leadership Council and Public Safety Advocates — committees tied to Republican leaders and developers, respectively — have pumped more than $20,000 into the campaign in support of Paul Gaspar, Phil Graham and Mark Muir and against candidates Catherine Blakespear and Tony Kranz, according to county and city records. According to independent expenditure reports, the North County Leadership Council reported spending $4,437 on mailers for Graham, Gaspar and Muir, and an additional $2,092 on mailers and newspaper ad for the trio. While reported separately, the mailers and the newspaper ad were the same for each candidate. The group, which is spearheaded by former Encinitas Councilman Jerome Stocks, was the subject of a Coast News report in September 2015, when the group disclosed it had raised $3,500 and its membership was exclusively North County Republican leaders. At that time, Stocks said the group was nonpartisan, and planned on recruiting Democrats and liberals to their membership rolls. Stocks, reached on Wednesday, said the group still remains nonpartisan, which he said is proven by the group’s endorsements. A review of the group’s 16 endorsements found that one was a registered Democrat — San Marcos Unified School District board member Randy Walton. Walton, reached Wednesday, said he was unaware that he had received the group’s backing. Stocks said the group’s board didn’t spend money in all of the races, and voted to spend its money in races where they had multiple candidates that the group backed. They contributed more than $28,000 to the campaigns of Ramona Finnilla, Julie Nygaard, Dan Hughes and Larry Schallock in the Tri-City Healthcare District race and $31,000 toward the passage of Measure B, the Lilac Hills Ranch Voter initiative. 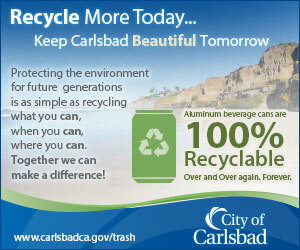 “When you make decisions on how and where you spend money, you try to get the most impact possible,” Stocks said. Meanwhile, a group called Public Safety Advocates reported spending $4,300 on a mailer against Blakespear and the same amount on a mailer against Kranz. The PAC has been active since 2014, and according to the expenditure form, has been backed heavily by local developers, including LHR Investment LLC — a subsidiary of Lilac Hills Ranch developer Accretive — Sudberry Properties, the Western Electrical Contractors Association, the California Real Estate PAC, and the Building Industry Association of San Diego. In the race for Measure T, the city’s housing element, up until recently the most visible organized movement was in opposition to the plan. That committee, the Committee Opposed to Encinitas Measure T, raised $7,218 and spent close to $4,500 on signs and mailers. 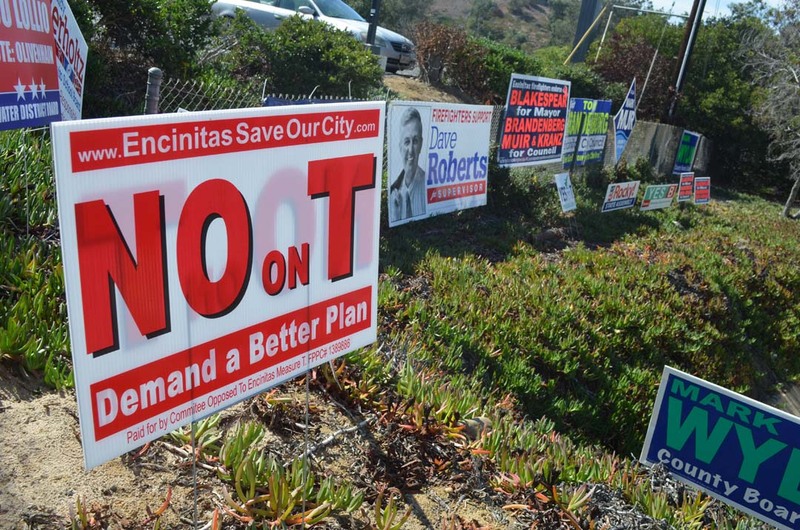 Its major support comes from the most vocal opponents of Measure T, including campaign chairman Bruce Ehlers, Peter Stern, CJ Minster, former City Councilman Dennis Holz, former Mayor Sheila Cameron and Ian Thompson, the widower of late Encinitas Councilwoman Maggie Houlihan. But in recent days, independent expenditures were listed from two PACs: the League of Conservation Voters and Foundation for Independent Research & Education Issues Committee. The former reported spending more than $12,000 on a “yes on T” mailer and brochure, and the latter reported spending $10,000 in online advertising in support of Measure T.
The League of Conservation Voter’s donors, according to its most recent campaign documents, include Zagara Management Co., a Cardiff-based real estate developer; George Krikorian of Krikorian Premiere Theatres, and the group Olivenhain Town Center LP. Another noteworthy name, albeit one of the PACs smaller donors is Councilwoman Lisa Shaffer. The second PAC has received all of its funding from the parent Independent Voter PAC, which receives its funding from pharmaceutical giant Eli Lilly, Sempra Energy and Pacific Gas & Electric.